Our addiction to single-use plastics reveals the most selfish side of our nature. Single-use plastics are one of the most powerful symbols of our indifference to the environment our children will inherit. Single-use refers to items like plastic bags, water bottles and plastic cutlery, which are generally used once and then thrown away. According to the Mindfully.org website, over 2 million single-use plastic water bottles are thrown away every 5 minutes in the US alone. And only about 20% of those are recycled. 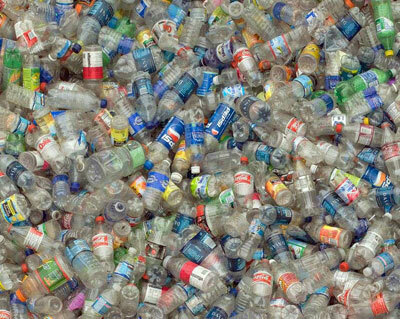 Do the math and you’ll see that over 460,800,000 plastic bottles are thrown away every day. These end up in our landfills, our parks, our lakes, our rivers and our oceans. But of course, these natural spaces and waterways are not ours. They belong to our children and our children’s children. As for plastic bags, although some cities in North America are taking steps to ban them or limit their use, over 60,000 plastic bags are thrown away every 5 seconds. That’s 18,000,000 bags an hour, or 432,000,000 a day. It’s no wonder we seem them snagged on the branches of trees, blowing down alleys, and washing up on river banks and beaches. If the use of these bottles and bags were essential to our survival, this behavior would perhaps be understandable. But it isn’t. Since the dawn of civilization humans have managed perfectly well without these items. Until now. Our addiction to single-use plastics is a symbol of our craving for anything that makes our lives easier or more convenient. It’s easier to use bottled water than it is to filter and then pour water into a multi-use bottle. And it’s easier to walk into the store empty-handed than it is to carry in our bags. The advantage we gain from single-use plastic items is very, very small. But the consequences for the planet and for our children are huge. It’s hard to comprehend why we would trade such a small benefit to ourselves for such damage to others. It’s not that we are blind to the consequences of our actions, it’s just that we are indifferent to them…so long as we are not the ones who have to pay the price. And, of course, there are plenty of simple alternatives. Whether you are going to work, taking a walk in the park, cycling, or taking some other form of exercise, it’s easy to switch from using single-use bottles of water to using multi-use bottles. These are generally made from stainless steel or from a safe plastic that does not leach dangerous chemicals into the water. As for shopping bags, most supermarkets offer multi-use bags for sale. If not, there are plenty of other places where you can get them. Just this morning I was reading about an entrepreneur who is raising funds on Kickstarter to help him produce a simple, reusable shopping bag of his own design. It’s easy to switch from single-use plastics. If only people could be bothered to make the change.